Play a round of 9 or 18 holes on the beautiful NMU Golf Course! 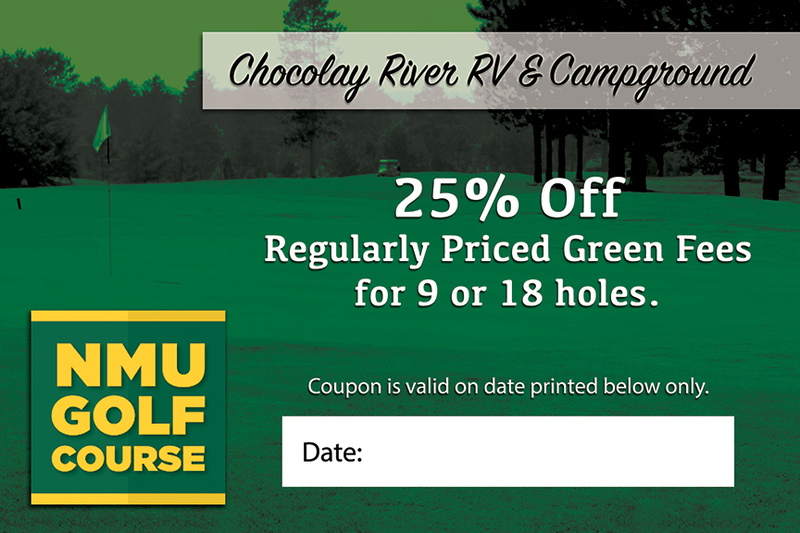 Conveniently located next to Chocolay River RV & Campgrounds, this well-maintained course offers multiple tee locations for to all levels of golfers. Be sure to take advantage of the grass tee driving range and practice area before you hit the green! Mention your stay with us and receive a discount on your game, or download a coupon here. Visit the NMU Golf Course Website for more information. Enjoy riding on some of Upper Michigan's finest ORV trails! 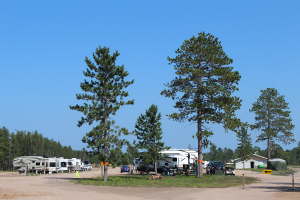 Chocolay River RV & Campgrounds is conveniently located right next to the trails. Head west to ride into the Marquette area or east to explore the natural beauty of the area. Unless posted, all state forest roads are open to ORVs so you have infinite riding possibilities! Visit Michigan's DNR Website for trail maps and more information. 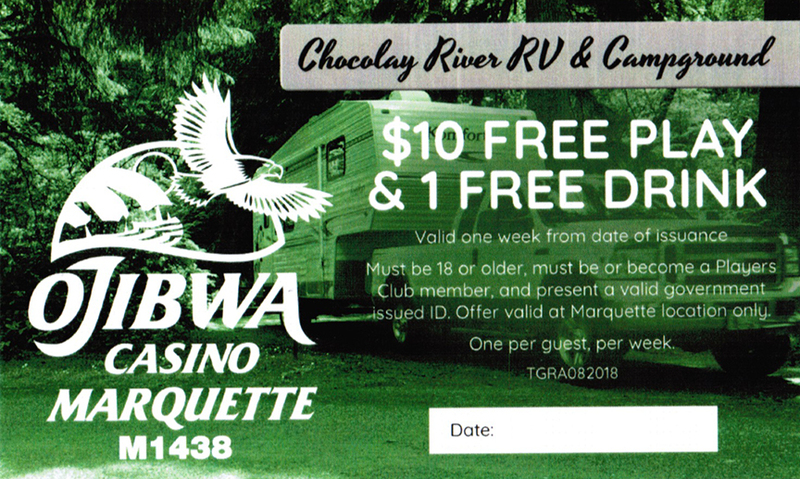 Win big and have fun playing slots, blackjack, and other great table games just down the road from Chocolay River RV & Campgrounds. The casino is open 24 hours for endless chances to win! Our guests who are 18 and over will receive $10 free play and 1 free drink when they are or become a Players Club member. Don't miss out on this incredible offer! Be sure to print your coupon here, or ask for one when you check in. Visit Ojibwa Casino's Website for more information.